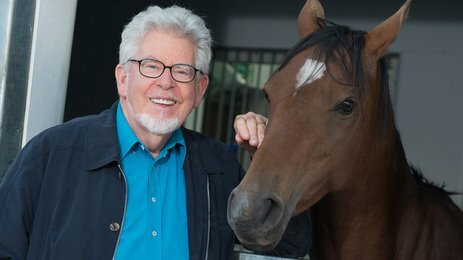 Channel 5 has decided to suspend Rolf Harris’ Animal Clinic programme until his arrest as part of Operation Yewtree has been cleared up. Earlier this week, it was announced that Rolf Harris, 83, is questioned by the Metropolitan Police in London over alleged historical claims of sexual abuse. Rolf Harris’ vetinary show Rolf’s Animal Clinic has been airing on Wednesday evenings on Channel 5, attracting an audience of around 800,000. It was reported last month that Rolf Harris had been arrested and bailed until May in relation to Operation Yewtree, which was set up after hundreds of sexual abuse allegations were made against TV presenter Jimmy Savile. Rolf Harris has yet to comment on the allegations made against him. So far 12 people have reportedly been arrested with regards to the operation. The fate of Rolf Harris’s one-man show at the Bristol Hippodrome next month now hangs in the balance, with organizers saying it may have to be cancelled.